Hello! Welcome back to TeamHaem. Here is the next case for your enjoyment! A 29 year old female attends her GP practice after an inhaler she’d been prescribed for shortness of breath had not been effective. She had been feeling short of breath for the past few months and it was gradually getting worse. There was a cough but no sputum and no haemoptysis. Her past medical history was unremarkable. She’d has two children both fit and well aged 3 and 5 and works as an air hostess. She had no drug allergies and her medication included a beclomethasone 200 micrograms BD and salbutamol 200 micrograms PRN. She was also using a steroid cream for a troublesome itch. On examination the best was clear and heart sounds normal. There was no ankle oedema. The GP referred her for a chest radiograph. 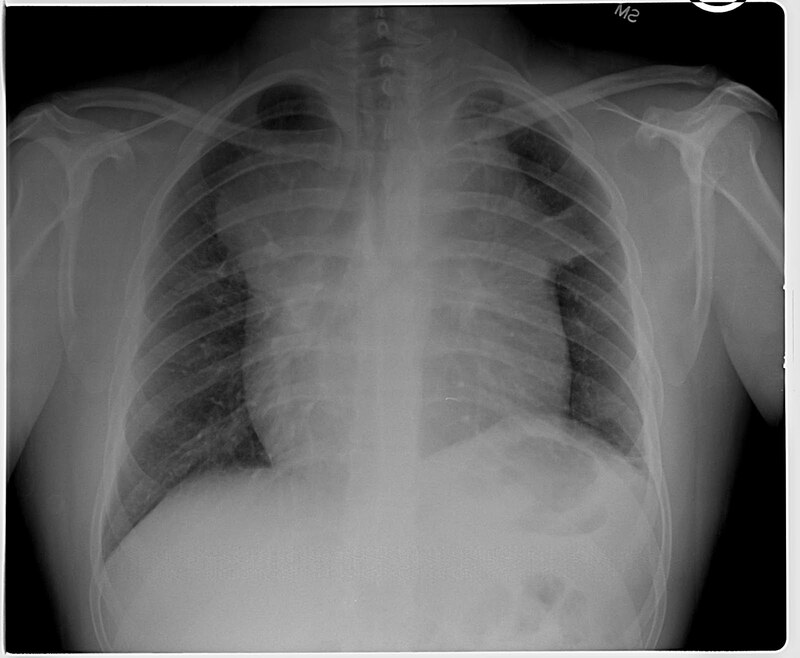 How would you report this chest X-ray? This entry was posted in Lymphoma and tagged CXR, PMBCL, Primary mediastinal B-cell lymphoma. Bookmark the permalink.